The two measures that would extend Oahu's rail tax cleared key hurdles Tuesday after state House and Senate members voted decisively to advance those bills out of their chambers and keep mulling the best way forward. Star-Advertiser. The State Senate passed 345 bills today which will be sent to the House of Representatives for consideration in the next month. But the longest debate among lawmakers was the measure to bail out Honolulu’s Rail Transit Project. Hawaii Public Radio. Hundreds of bills passed out of the House and Senate on Tuesday, ahead of a key deadline. The measures now cross over from the chamber in which they originated to the other side. Each chamber approved a measure to extend Honolulu's rail tax. Hawaii News Now. Rail tax progresses through Senate. KITV4. Gov. David Ige laid out his vision to wean Hawaii off fossil fuels Tuesday, listing the increased use of batteries with solar systems, the short-term use of liquefied natural gas and the reduction in incentives paid to solar owners as changes he'd like to see. Star-Advertiser. Marijuana, vacation rentals, food security, energy, pesticides and extending the tax funding Honolulu’s rail project are just some of the issues state lawmakers are moving forward on this session. The House and Senate each passed hundreds of bills Tuesday, sending them from their originating chamber to the other chamber for its consideration. Civil Beat. Hawaii is one step closer to having a system of medical marijuana dispensaries nearly 15 years after the drug was legalized in the state. The House of Representatives approved a bill Tuesday that would pave the way for at least 26 dispensaries that could open in every county. Associated Press. Concerned that raw sewage is contaminating coastal waters and threatening drinking water supplies, lawmakers have advanced two bills that would ban new cesspools and provide tax credits to help homeowners who already have cesspools convert to other systems. Civil Beat. Hawaii lawmakers may allow the state’s financially struggling health exchange to issue up to $28 million in bonds backed by the state. The Senate passed a bill that would pave the way for the bonds on Tuesday. Associated Press. Lawmakers are considering bills to crack down on thousands of illegal vacation rentals that operate in Hawaii. Two bills were passed by the full House on Tuesday. House Bill 825 would crack down on the regulatory requirements, while House Bill 792 would address property crime associated with tourist areas. Civil Beat. Opinion: Unexpected Flood of Info Before the Carleton Ching Hearing. Sen. Laura Thielen may have set a new standard for transparency when it comes to early release of information about gubernatorial nominees. Civil Beat. A planned affordable senior housing complex in Mililani Mauka that has been heralded as badly needed for Hawaii kupuna but opposed by many area residents broke ground Tuesday after about five years of struggle. Star-Advertiser. Lawyers representing residents of the 364-unit Mayor Wright public housing project in Kalihi have announced a $350,000 settlement to compensate residents for living in decrepit conditions. Civil Beat. A class-action lawsuit challenging the decrepit condition of the Mayor Wright Homes public housing project in Kalihi has reached a settlement that includes a $350,000 payment to compensate residents for years of unsafe and unsanitary living. Star-Advertiser. Honolulu City Council members may soon get involved in an ongoing battle over parking on some Kakaako streets. On Wednesday, they will consider a proposal to form a group that would examine who has authority over area roads, including Queen, Cooke, Cummins, Waimanu and Kamakee Streets. KHON2. A new hotel project in Waikiki is being planned by a Hawaii developer with ties to a partner on the Mainland, an executive with the Honolulu architecture firm that's part of the project confirmed to Pacific Business News. A changing of the guard in the Legislative Auditor’s Office has left Hawaii County without a single internal audit being completed since 2011. But Auditor Bonnie Nims said she expects an audit report to be forthcoming within the next few months. West Hawaii Today. The state House and Senate both passed identical measures Tuesday to lift a moratorium on new home insurance policies in lower Puna. The Hawaii Property Insurance Association put the moratorium in place in September in response to the June 27 lava flow, which remains active near Pahoa. Tribune-Herald. A new filing with the Public Utilities Commission could complicate the proposed $4.3 billion acquisition of Hawaii Electric Light Co. and its sister companies. Fledgling electric provider Paniolo Power Co. LLC, a subsidiary of Parker Ranch Inc., filed on Monday a motion to merge two of the most closely watched dockets before the PUC this year, including the purchase of the Hawaiian Electric Companies by Florida-based NextEra Energy Inc. Tribune-Herald. A new Hilo sidewalk will help researchers study options for building infrastructure on the moon and Mars. The Pacific International Space Center for Exploration Systems says Hawaii County will install three sidewalk slabs made out of "lunar concrete" volcanic basalt on Thursday. Associated Press. 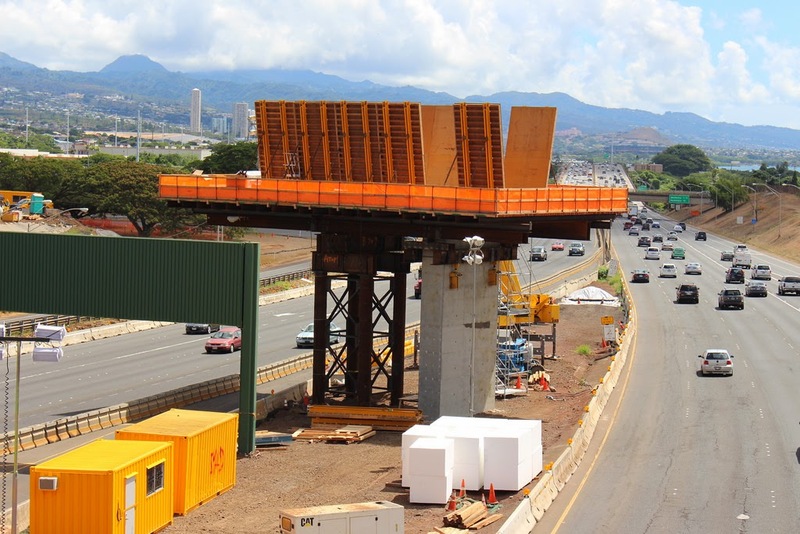 When the Laaloa Avenue extension opened in late January, it represented a smooth and much-awaited connector between Alii Drive and Kuakini Highway. But like so many other shiny new — and steep — streets, it also presented an opportunity for speeding. West Hawaii Today. A federal judge is considering delaying proceedings in a lawsuit challenging Maui's ban on the cultivation of genetically modified organisms because of legislation that could affect the outcome of the case. Star-Advertiser. A federal judge may push back a decision about Maui County’s moratorium on genetically modified crops because of two bills pending in the Legislature. Civil Beat. Mayor Alan Arakawa said Tuesday the state of Maui County is "strong" and touted his administration's work to upgrade roadways, park facilities and the county's computer system. Maui News. Maui Mayor Alan Arakawa delivered his 2015 State of the County Address tonight before a full house at the McCoy Studio Theater at the Maui Arts and Cultural Center saying “The state of Maui County is STRONG.” Maui Now. Maui Mayor Alan Arakawa characterized the state of the County of Maui as “STRONG” in his 2015 State of the County Address, which he delivered on Mar. 10 at the Maui Arts and Cultural Center. Maui Time. A bill that would allow the financially ailing Maui Memorial Medical Center to enter into a public-private partnership passed the state House on Tuesday and will head to the state Senate, keeping the measure alive this legislative session. Maui News. A Maui Planning Commission decision Tuesday on the final height of a private landfill at the corner of Honoapiilani Highway and North Kihei Road means that the facility, which has been closed since Feb. 13, will reopen today. Maui News. After nearly two years of work and waiting, plans to rebuild and reconstruct the Coco Palms Resort in Wailua cleared one of the final hurdles Tuesday needed to set the $135 million project in motion. Garden Island. The redevelopment of Kauai's Coco Palms Resort cleared a major hurdle on Tuesday, as the Kauai Planning Commission unanimously approved several permits for the project that aims to restore the iconic Garden Isle hotel to its former glory. Pacific Business News. The Kauai Planning Commission has unanimously approved permits to renovate the shuttered Coco Palms Resort. Star-Advertiser.